The National Fish & Chip Awards have concluded their tour of the UK after giving away over 2,000 free portions of fish and chips to lucky passers-by. From Monday 23 October to Friday 27 October, Craig Maw and Nikki Hutton of Kingfisher Fish & Chips in Plymouth – the UK’s best fish and chip shop - visited five UK cities, serving 400 delicious portions of the nation’s favourite takeaway in each city. The tour formed part of The National Fish & Chip Awards’ 30th anniversary celebrations, with the striking green ‘Kingfisher Fish & Chips on the go…’ van covering almost 1,000 miles, stopping in Glasgow, Newcastle, Manchester, Birmingham and London. 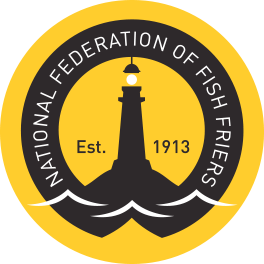 Marcus Coleman, Chief Executive at Seafish, organisers of The National Fish & Chip Awards, commented: "Fish and chips are undeniably British. Whether served with ketchup, mushy peas or one of the more unusual condiments, not much else compares to a piping hot portion. "From Glasgow to London, locals came out in their thousands to get a taste of the UK’s best fish and chips, and gave rave reviews as they experienced first-hand exactly why Kingfisher are the number one fish and chip shop. Commenting of the success of the roadshow, Craig Maw and Nikki Mutton, co-owners of Kingfisher Fish & Chips in Plymouth, Devon, added: "What a fantastic week! The support in each city has been absolutely amazing. We’ve seen queues of up to an hour long and heard some fantastic feedback on our fish and chips.